Do you have trouble finding places in Jordan? Would you like to visit our stores to buy products, but feel as if you are "directionally challenged"? It's easy and simple to use! Hopefully you'll find it as helpful as we do! We've had fun times these last few weeks at Souk Jara and we've met interesting people from all over the globe! It's hard to believe how quickly the summer is going by, so make sure you make a point of visiting the Souk before the summer runs out of Fridays! The atmosphere is fun and vibrant, and you'll be sure to have a good time. While you're slurping your smoothie from one of the juice stands, remember to stop by booth L33 and say hi! 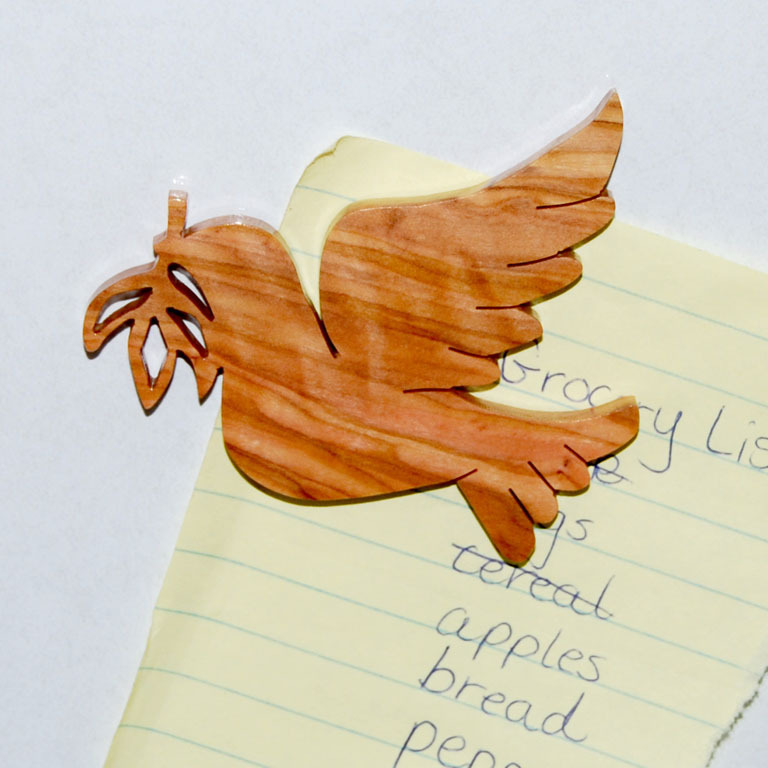 Our ever-popular kitchen items are also selling fast; you'll want to visit soon to make sure you get yours! 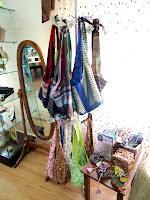 Starting this week, we will also start featuring Leen's beautiful purses. There's lots to take in and many sights to explore! See you soon! Kids Toon toy shop is one of our newest vendors in Amman. Located beside Jingo's Jungle on the 3rd floor of City Mall, Kids Toon is a specialist in children's toys. Their friendly and knowledgeable staff are always ready to help you choose just the right gift for your child's next birthday party or special celebration. Kids Toon has something for everyone - educational games, building and construction sets, language learning aids, as well as a wide range of toys, books, and baby equipment. 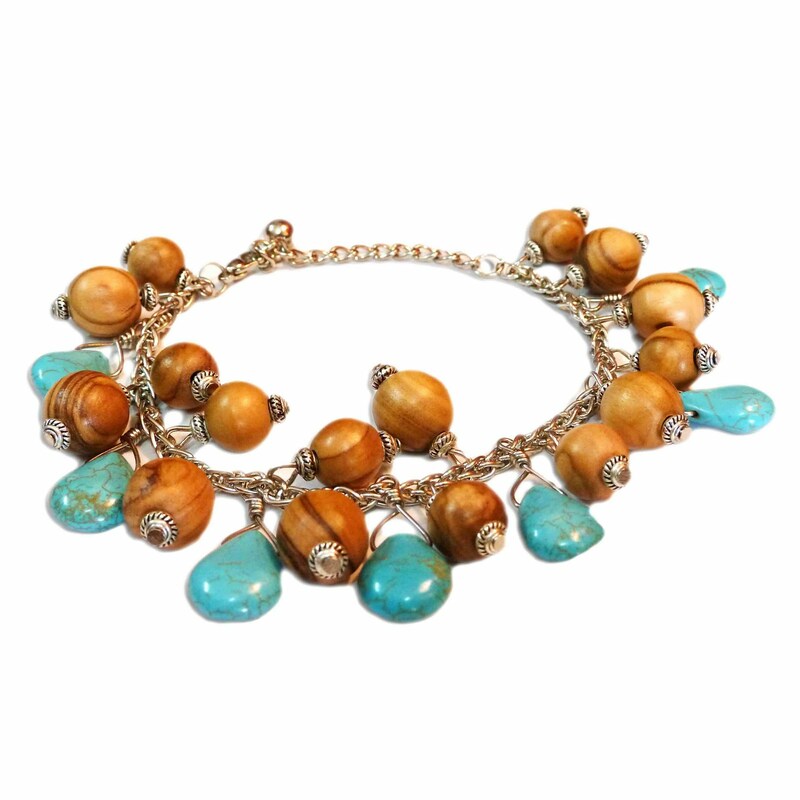 For those who are searching for something unique, they also have a select line of treasures from France and Germany. Kids Toon specializes in toys representing popular children's TV shows from Nickelodeon, Space Toon, MBC3 and more! On your shopping trip, stop by Kids Toon where you can choose the perfect gift and complement it with one of our handmade greeting cards from From the Earth. Kids Toon carries our special line of birthday and children's cards so you can make your next gift even more impressive with our cute and creative kids' cards decorating the top of your beautifully-wrapped package! 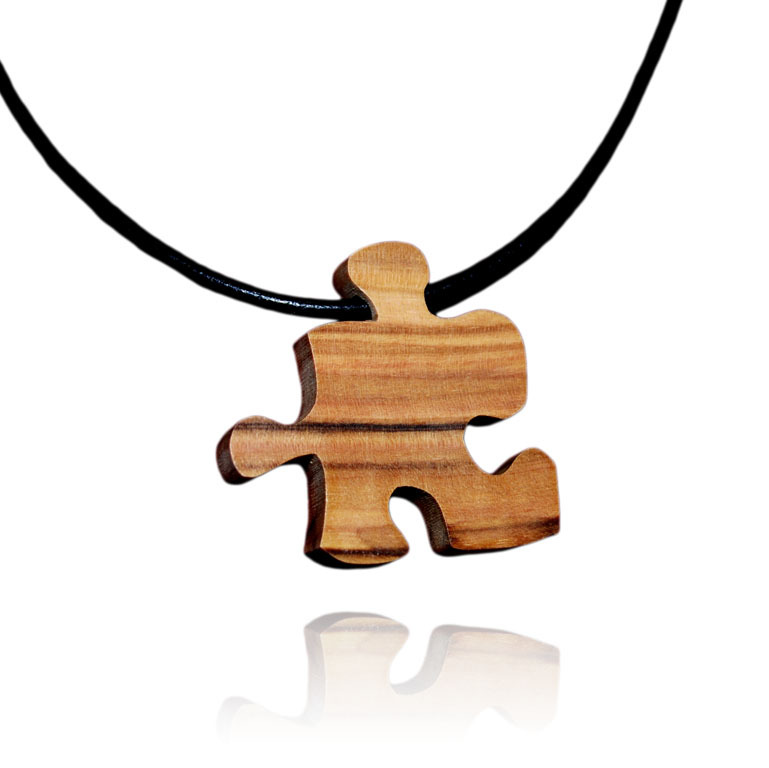 To celebrate From The Earth's launch in Europe all puzzle piece necklaces are 20% off through June 30 when purchased on amazon.co.uk. To get the discount use the code PUZZLE20 at check out. 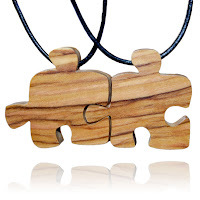 Signify your connection with friends, sisters, brothers, spouses or significant others with our two or three interlocked necklaces. 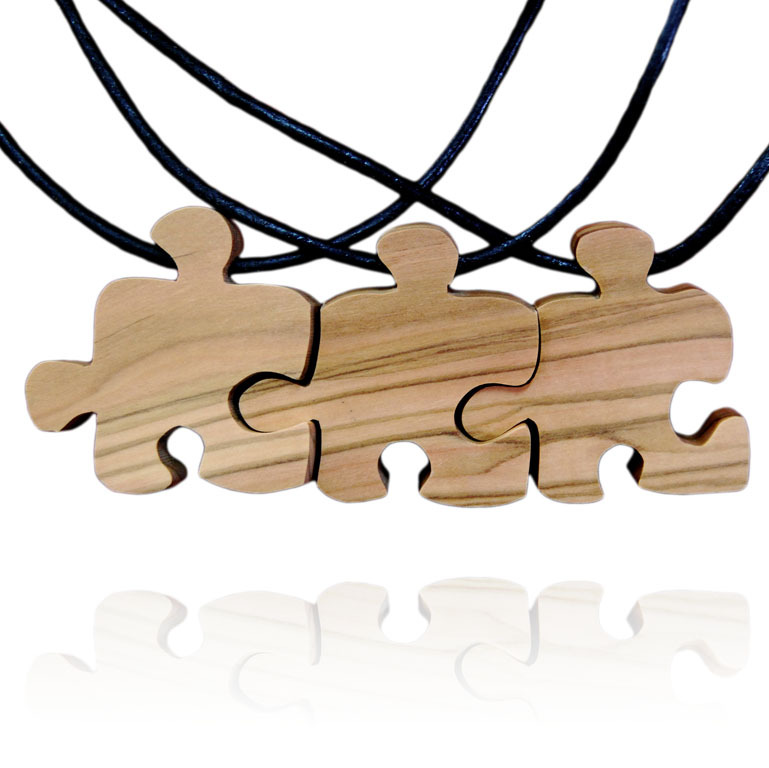 Or enjoy a unique necklace that supports fair trade with the individual puzzle piece. During June, "Souk Jara Goes Green." This means that the market will be featuring more eco-friendly initiatives and will be teaching recycling awareness to the residents of Amman. In light of this month's theme, we at From the Earth decided to take this opportunity to share our small part in creating a greener world. There are some who believe that by creating olive wood products, we are killing trees and depleting Jordan's already-scarce supply of greenery. Nothing could be further from the truth! 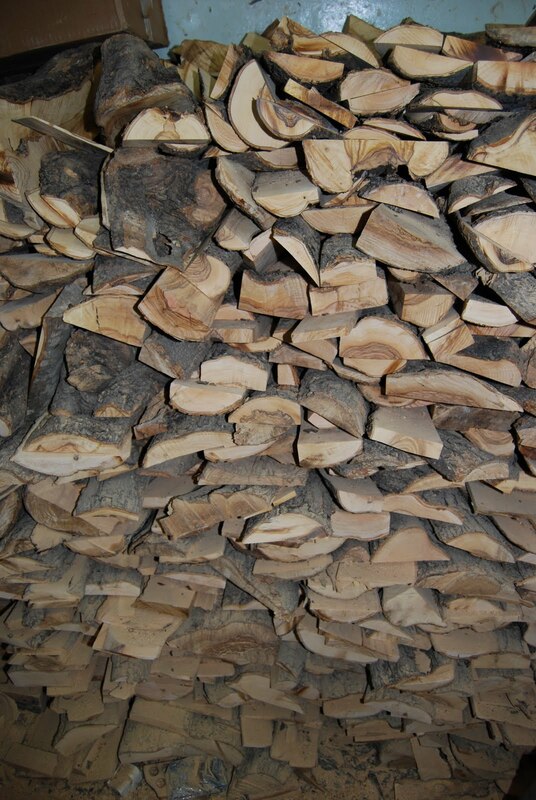 Each year we collect wood after the olive trees are pruned to produce a greater olive harvest next year. The trees are not damaged in this process and we get to recycle the pruned branches. 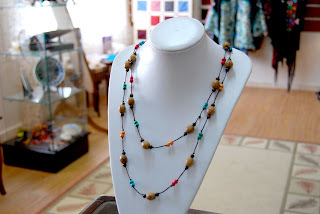 Our people have been able to take this waste and turn it into beautiful and useful ornaments, jewelry and kitchen items. So the next time you use our popular fish bowls or spiral salad server sets, you can feel good about helping to reduce waste and helping olive trees continue to grow fruit! FTE Handmade Products are Now Available in Europe! Our high quality handmade Jordanian products and A+ customer satisfaction rating made us one of Amazon's top sellers in the US over the 2010 Holiday Season. Now we are partnering with Amazon in the UK to make our products available in the United Kingdom and 26 European Union countries. 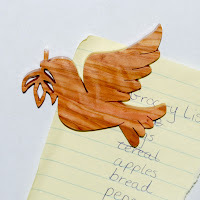 Our handmade greeting cards, olive wood jewellery, kitchen items, magnets, key rings, and ornaments can be found at http://www.amazon.co.uk/. A direct link to our products can be found here. We're excited to be in Europe and we hope to continue providing accessories and cards that you love! 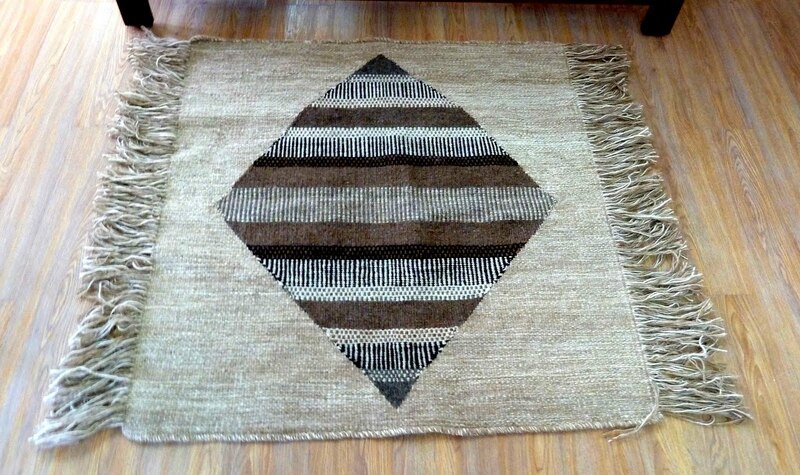 We are pleased to introduce all natural handmade rugs in our showroom in Bayader Wadi Seer. 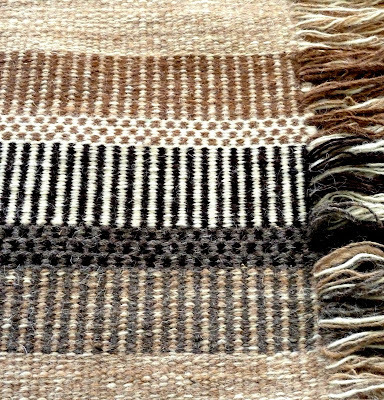 These 100% sheep's wool rugs are woven by hand and do not have any dyes or added colors. 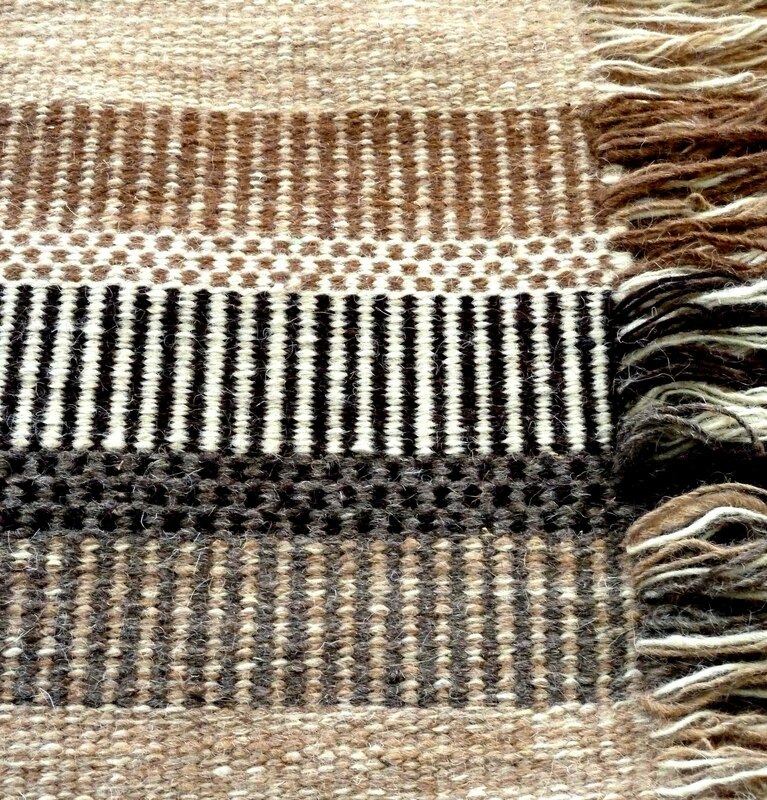 It is a joy to be able to offer you rugs that are environmentally friendly and support local artisans. 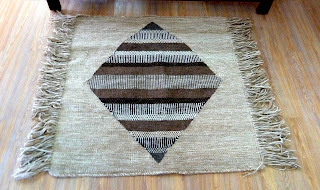 We have small rugs that can fill in the extra space of your entryway and larger rugs that are perfect for your salon. Keep your eyes open for a blog post featuring Fihmi Abu Edshaysh who weaves these lovely pieces inspired by traditional Bedouin designs! Here at From the Earth we are always looking for new products that highlight both creativity and quality. We hope you enjoy them as much as we do. And don't forget, the new purses from Leen Tabba along with her other masterpieces have arrived!